hogy hívják what is it called? 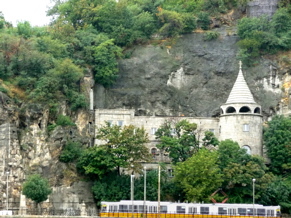 Neolithic, Chalcolithic-, bronze and iron age cultures, Celtic and Eravisci settlements on present day Budapest. Romans found the settlements known as Aquincum, Contra-Aquincum and Campona. Aquincum becomes the largest town of the Danubian region and one of the capitals of Pannonia. The Age of Huns. King Attila builds a city for himself here according to later chronicles. 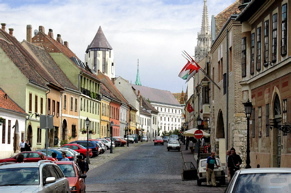 Following the foundation of Hungary, leader of the Hungarians Árpád settles in the "Town of Attila", usually identified as Aquincum. 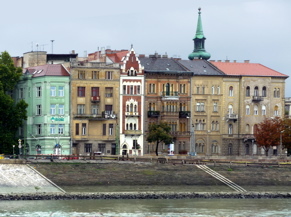 Out of the 7 or 10 Hungarian tribes, four has settlements in the territory of modern Budapest: Megyer, Keszi, Jenõ and Nyék. 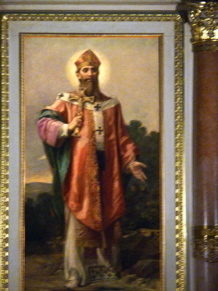 Bishop Gellért dies at the hands of pagans on present-day Gellért Hill. 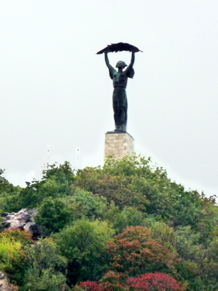 During the Tatar invasions both towns are destroyed. 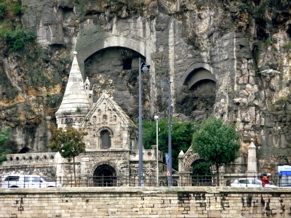 King Béla IV builds the first royal castle on Castle Hill, Buda in 1248. 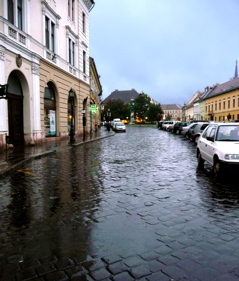 The new town adopts the name of Buda from the earlier one (present day Óbuda). 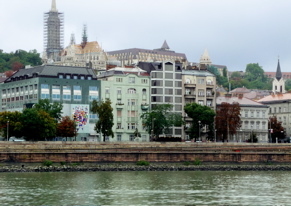 Pest is surrounded by city walls. 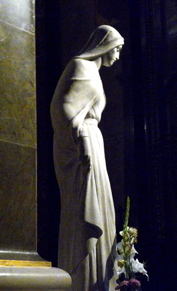 Saint Margaret of Hungary dies in a cloister on the Isle of Rabbits (present day Margaret Island). 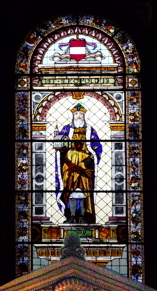 The noblemen of Hungary elect Matthias Corvinus (in Latin) or Hunyadi Mátyás (in Hungarian) as king on the ice of the Danube. 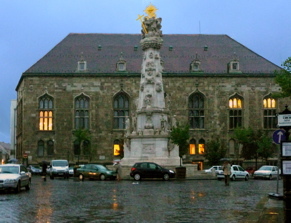 Under his reign Buda becomes the main hub of European Renaissance. 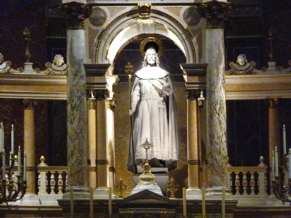 He dies in 1490, after capturing Vienna in 1485. The beginning of Ottoman occupation. 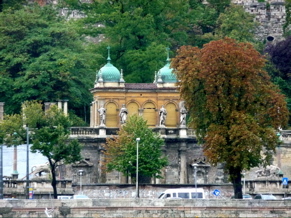 The Turkish Pashas build multiple mosques and baths in Buda. 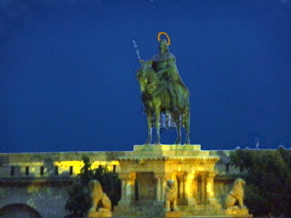 Buda and Pest are re-conquered from the Turks with Habsburg leadership. Both towns are destroyed completely in the battles. Resettlement, initially only a few hundred German settlers. 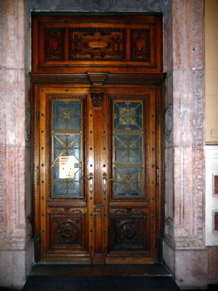 Election of the first Mayor of Pest. 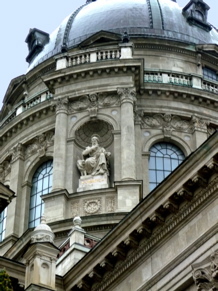 Maria Theresa of Austria moves the Nagyszombat University to Castle Hill. 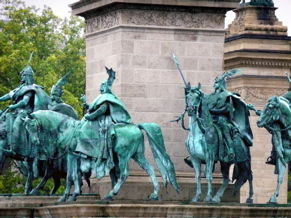 Joseph II places the acting government (Helytartótanács) and Magyar Kamara on Buda. 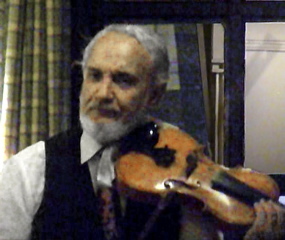 Ignác Martinovics and other Jacobin leaders are executed on Vérmezõ or 'The Field of Blood'. 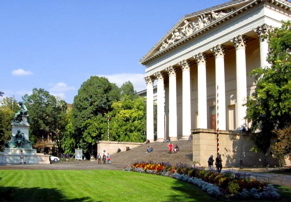 Commencement of the Reform Era, Pest becomes the cultural and economic centre of the country, the first National Theatre is built along with the Hungarian National Museum and the Széchenyi Lánchíd. The biggest flood in recent memory in March. Pest is completely inundated. Start of the Revolution and War of Independence of 1848-49. 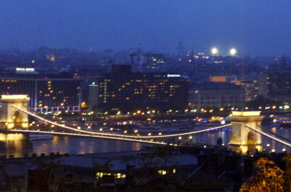 Pest replaces Pozsony (Bratislava) as the new capital of Hungary and seat of the Batthyány government and the Parliament. 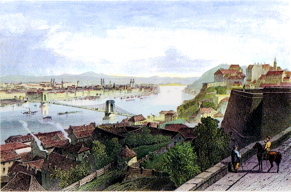 The Austrians occupy the city in early January, but the Hungarian Honvédsereg (Army of National Defense) reclaims it in April, taking the fortress of Buda on May 21 after an 18-day siege. 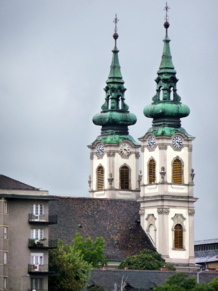 In July, the Habsburg army again captures the two towns. 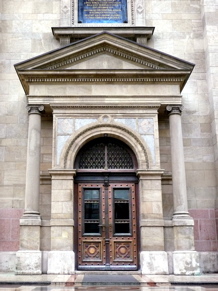 Lajos Batthyány, the first Hungarian Prime Minister is executed on the present-day Szabadság tér. 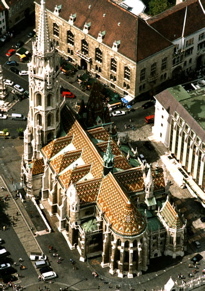 Austro-Hungarian Compromise of 1867, followed by unprecedented civic development, resulting in the style of present day Budapest. 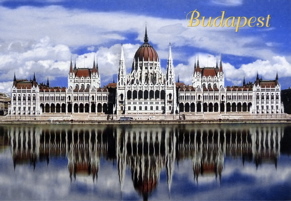 The former cities: Pest, Buda and Óbuda are united, and with that the Hungarian capital is established with the name of Budapest. Revolution and the 133 days of the Hungarian Soviet Republic (March-August 1919) under the leadership of Béla Kun. 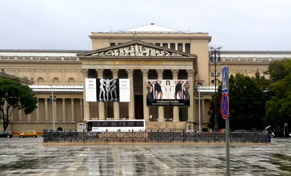 It is the first Communist government to be formed in Europe after the October Revolution in Russia. Disassembly of the Tabán commences. 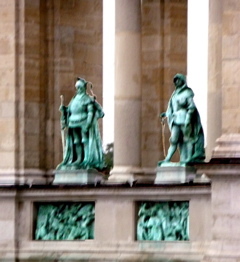 Budapest is occupied by the Germans. 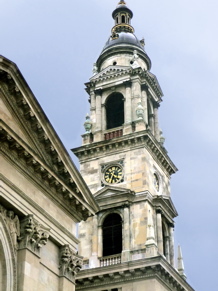 At the time of the occupation, there were 184,000 Jews and about 65-80 thousand Christians considered Jewish in the town. Fewer than half of them (approximately 119,000) survived the following 11 months. Soviet and Romanian troops besiege Budapest. 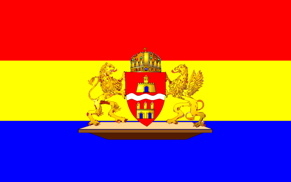 15 Jan-18 Jan. 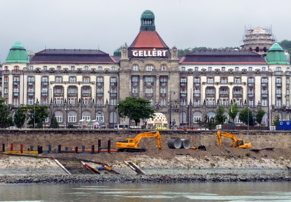 The retreating Germans blow up all Danube bridges. 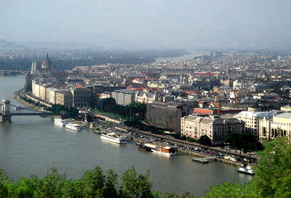 On Jan. 18, Pest and the Ghetto in Pest are completely liberated. 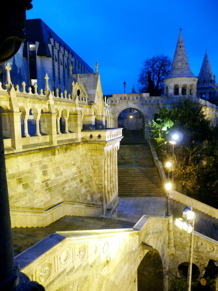 The Buda castle falls on Feb 13. 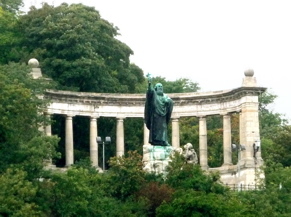 World War II took the lives of close to two hundred thousand Budapest residents. Heavy damage to the buildings. 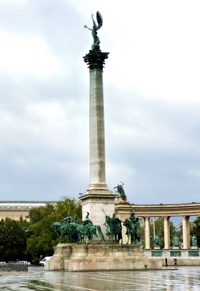 The Hungarian Revolution of 1956 breaks out, ending in the invasion of a large Soviet force. 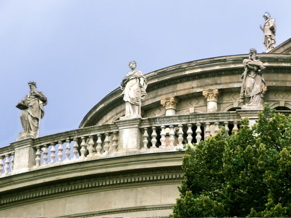 Wartime damages are by and large corrected. Bridges are rebuilt, the last one, the Elizabeth Bridge is rebuilt in 1965. 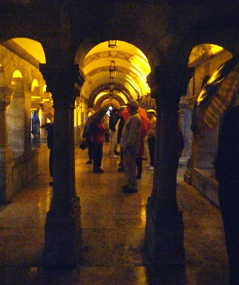 We set off to tour Buda, Pest, and Obuda (Old Buda). 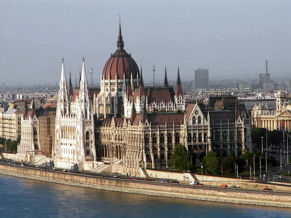 Budapest is the largest city and capital of Hungary, and is considered an important hub in Central Europe. 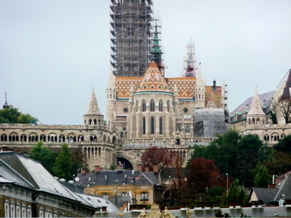 In 2008, Budapest had 1,702,297 inhabitants, down from a mid-1980s peak of 2.1 million. 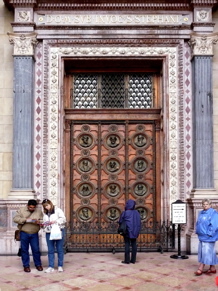 The city covers an area of 202.7 sq mi within the city limits. 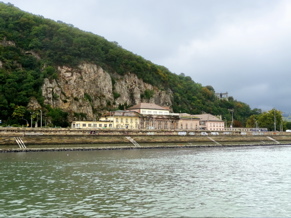 The first settlement on the territory of Budapest was Ak-Ink which means Abundant Water, built by Celts before the birth of Christ. It was later occupied by the Romans. The Roman settlement - Aquincum - became the main city of Lower Pannonia in 106 AD. The Romans constructed roads, amphitheaters, baths and houses with heated floors in this fortified military camp. 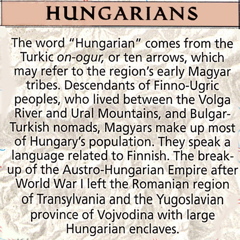 The Hungarians (Magyars) probably were from nomadic nature-worshipping Pagan tribes that came from Mongolia and Siberia. 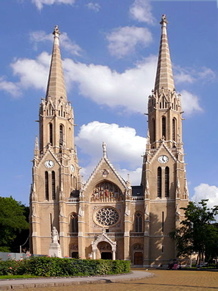 They took over from the Slavs settled in the territory at the end of the 9th century and a century later officially founded the Kingdom of Hungary. 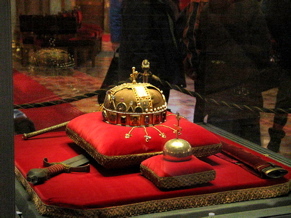 The King issued a decree requiring everyone to adopt the Christian faith in 1000 AD. The Tatar (Mongol) invasion by Genghis Khan in the 13th century quickly proved that defense is difficult on a plain. 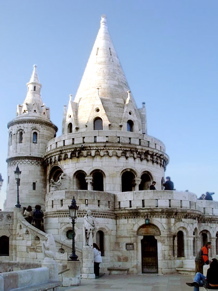 King Béla IV of Hungary therefore ordered the construction of reinforced stone walls around the towns and set his own royal palace on the top of the protecting hills of Buda. 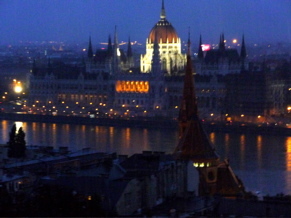 In 1361 it became the capital of Hungary, and one of the centers of Renaissance humanist culture. In around 1500 AD The Turks invaded and incorporated it into the Ottoman Empire. The Turkish occupation lasted for more than 140 years and left mainly destruction, although the Turks constructed some fine bathing facilities. 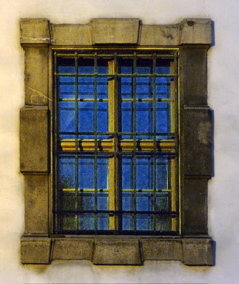 The western part of the country not occupied by the Turks became part of the Habsburg Empire as Royal Hungary. 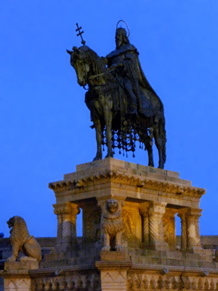 In 1686 Leopold I liberated Buda from the Ottomans but almost destroyed the city during the battle. The Habsburg Empire then took over Hungary as the new occupiers In WW I they chose the wrong side (the Germans), so at the end of the war the Austria-Hungarian Empire lost about 50% of their territory. They chose the wrong side again in WW II. 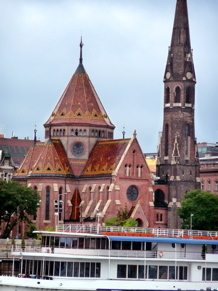 Budapest became a single city occupying both banks of the river Danube with the unification on 17 November 1873, of right-bank (west) Buda and Óbuda (Old Buda) together with Pest on the left (east) bank. 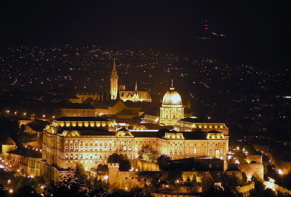 Budapest became the second capital of Austria-Hungary, a great power that dissolved in 1918. 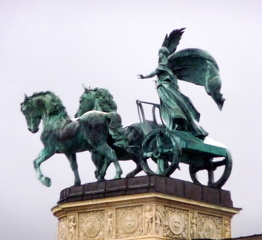 The nineteenth century was dominated by the Hungarian's struggle for independence and modernization. 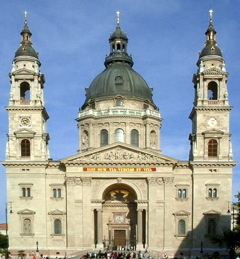 The national insurrection against the Habsburgs began in the Hungarian capital in 1848 and was defeated a little more than a year later. 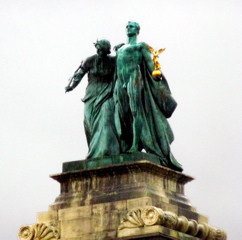 1867 was the year of Reconciliation that brought about the birth of Austria-Hungary. 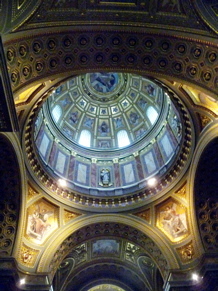 This made Budapest the twin capital of a dual monarchy. 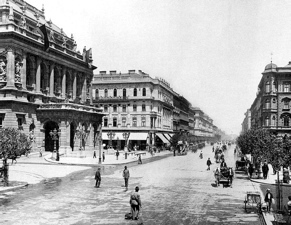 It was this compromise which opened the second great phase of development in the history of Budapest, lasting until World War I. 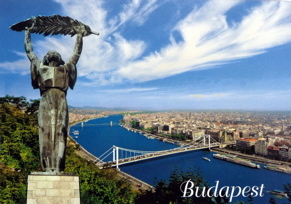 In 1873 Buda and Pest were officially merged with the third part, Óbuda (Ancient Buda), thus creating the new metropolis of Budapest. Dynamic Pest grew into the country's administrative, political, economic, trade and cultural hub. 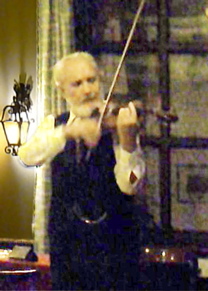 World War I brought the Golden Age to an end. 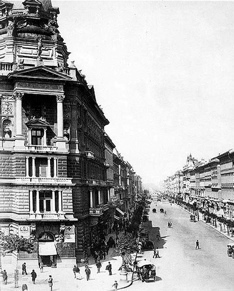 In 1918 Austria-Hungary lost the war and collapsed; Hungary declared itself an independent republic. In 1920 the Treaty of Trianon finalized the country's partition, reducing Hungary's size by two-thirds and turning the multinational state into a nation-state. 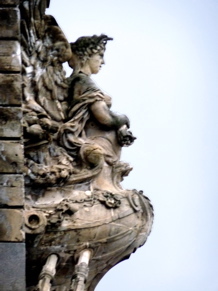 In 1944, towards the end of World War II, Budapest was partly destroyed by British and American air raids. 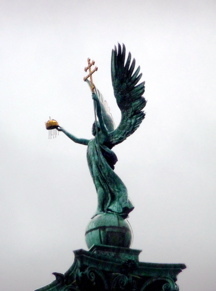 From 24 December, 1944 to 13 February 1945, the city was besieged during the Battle of Budapest. 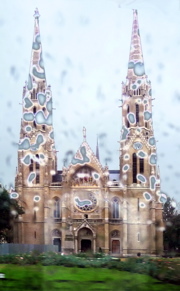 Budapest suffered major damage caused by the attacking Soviet troops and the defending German and Hungarian troops. All bridges were destroyed by the Germans. More than 38,000 civilians lost their lives during the fighting. 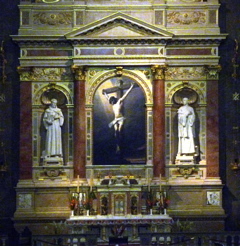 Between 20% and 40% of Greater Budapest's 250,000 Jewish inhabitants died through Nazi and Arrow Cross genocide during 1944 and early 1945. 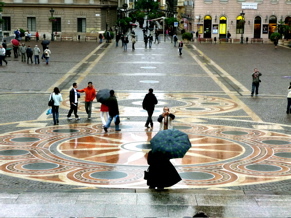 Despite this, Budapest today has the highest number of Jewish citizens per capita of any European city. 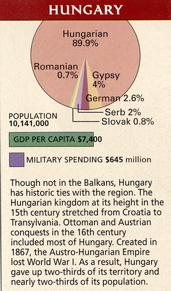 In 1949, Hungary was declared a communist People's Republic. 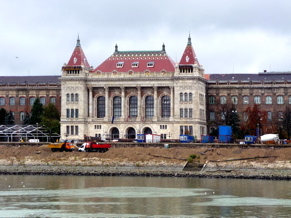 The new Communist government considered the buildings like the Buda Castle symbols of the former regime, and during the 1950s the palace was gutted and all the interiors were destroyed. 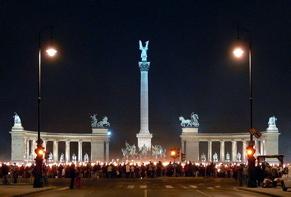 In 1956, peaceful demonstrations in Budapest led to the outbreak of the Hungarian Revolution. 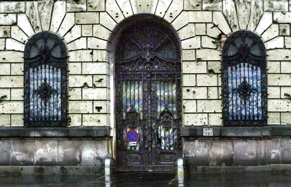 The Stalinist dictatorship collapsed after mass demonstrations, but Soviet tanks entered Budapest to crush the revolt. Fighting continued until early November, leaving more than 3000 dead. 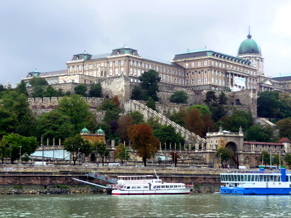 Widely regarded as one of the most beautiful cities in Europe, its World Heritage Sites include the banks of the Danube, the Buda Castle Quarter, Andrássy Avenue, and the Millennium Underground Railway, the first on the European continent. 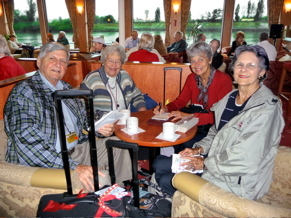 We took a Budapest city tour, with Yudit (Judith) as our local guide and Chaba as our driver. 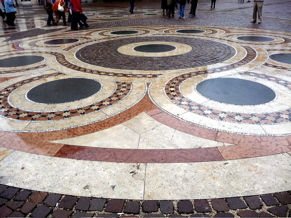 Budapest is laid out on a wheel with radial streets coming out from the center. 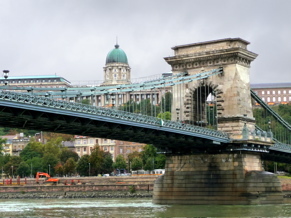 We saw the modern white and green Hungarian National Theatre, the Petrofi bridge, The Grand Boulevard (a semi-circular road ending on the Margaret Bridge). 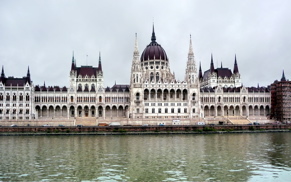 We saw the Gellert Hotel and Spa (with old Roman baths) on the Buda side, and then the Houses of Parliament (like a huge wedding cake) on the Pest side. In Bulgaria anything that moves is fair game. 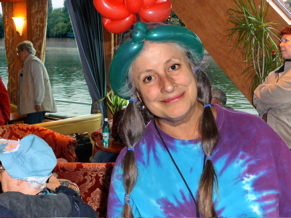 Gypsies and Bulgarians will catch and eat anything. Even though there is a legal hunting season, people will unt all year long. It's not that there is no other meat, it's just that Bulgarians can't resist getting something for free. 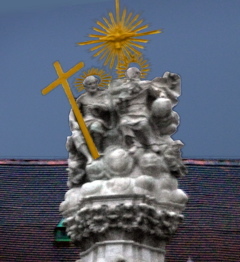 In the Balkans and in Hungary as well, there is state support to many of the religions. 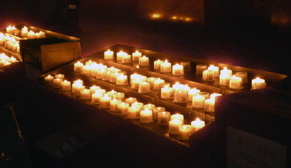 Q:	There doesn't seem to be much difference between Eastern Orthodox and Catholicism. Why did they split and go to war over it? A:	The difference wasn't just religion, it was nationalism. Q:	Is there a difference between feelings toward the the USA between Eastern European countries and Western European countries? A:	There is a greater envy, and some influence from the old KGB media messages. There is some anti-US feeling, but much much less than there is in Western Europe. 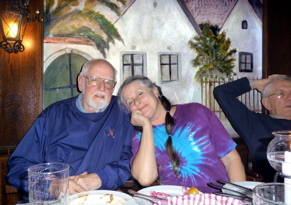 Lorin's mom was in favor of the Iraq War “because there is one dictator less.” Emil said that for Bulgarians, Iraq War is a non issue. Economic growth is 7-8% and all they are doing is focusing on making money. Q:	I see a lot of people with tattoos. Is there any worry about AIDS? A:	In Bulgaria there is an openness about AIDS. There are about 150 new cases per year. Q:	The corn fields look very dry! A:	Every fall Bulgarians dig deeply (about a foot) into the ground. Bulgarians don['t usually use fertilizers. Their crops are subsidized by the EU. Farmers prefer to use their own seeds from the previous harvest. 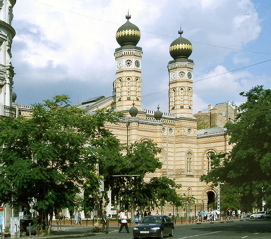 We saw the St. Ishtvan (St. Stephen) Catholic cathedral. 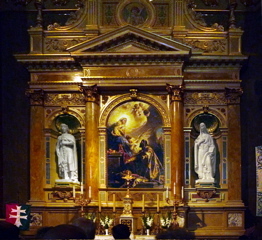 We went into the Mathias Church. 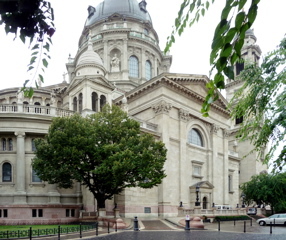 We also drove to Heroes Square and saw the Hungarian National Museum, Andrassi Avenue (where the Museum of Terror is), and St. Elizabeth's church. 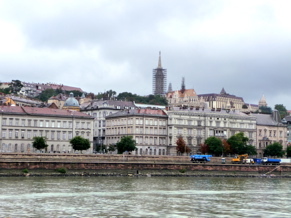 Afterwards, we drove to the Buda's Castle area and saw the Motaisesh Church and the Fisher Bastion. 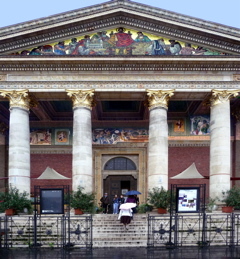 We saw the Hungarian National Museum, Andrassi Avenue (where the Museum of Terror is), and St. Elizabeth's church. We also drove to Heroes Square. 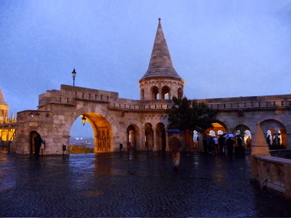 Afterwards, we drove to the Buda's Castle area and saw the Motaisesh Church and the Fisher Bastion. 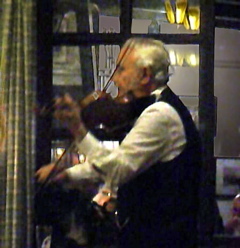 That night we went out to a local restaurant where they had a wonderful old gypsy violinist.